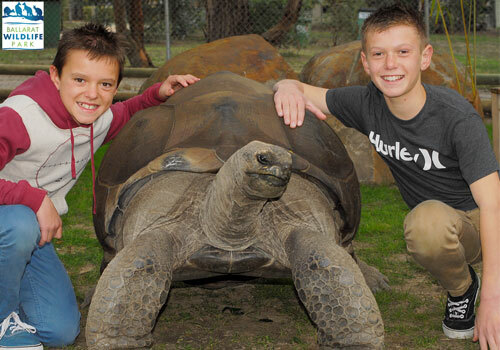 At the Ballarat Wildlife Park we care for a large collection of animals on a daily basis. Some of these animals are endangered or threatened with extinction. With the gift of adoption we at the Ballarat Wildlife Park can continue to provide our animals with the high standard of husbandry, dietry requirements and vetinary treatments they need as well as contributing to important conservation and breeding programs. With your gift of adoption we at the Ballarat Wildlife Park can continue to provide our animals with the high standard of husbandry, dietry requirements and vetinary treatments they need as well as contributing to important conservation and breeding programs. Your one off adoption fee will cover a full 12 months. At the end of each year you will have the first option to continue with your adoption. A fact sheet on the animal. A personal profile and picture of the animal. A chance to meet and have your photo with the animal. A yearly pass to the Park. Your name on a plaque at the enclosure. A photo and personal file of your chosen animal. A fact sheet of your animal. A mention of your sponsorship on our website. A Ballarat Wildlife Park cap. A photo oppotunity with your adopted animal. (Conditions apply).